Assembling complete working products for our customers has been a business focus at dataCon for over 30 years. We have established processes and selected equipment to accommodate the challenges of building systems. Our manufacturing floor utilizes customer dedicated work cell strategies to ensure customers that their “make it like the print” requirements are consistently and rigorously followed. When requested/required by our customers, newly introduced web based software can be used to monitor CTO or BTO work orders and further ensure that each step of a system integration and test work order is followed and implemented. Materials are typically procured using a systems approach instead of the more traditional commodity management approach. dataCon’s test department uses computerized and automated system testing. Testing capabilities include an ability to customize functional test requirements for each customer’s unique product characteristics. In support of system manufacturing operations, dataCon can provide a selected suite of enabling assembly services. The term ‘enabling’ refers to a stand alone, assembly technology or service competencies (e.g. CCA’s, backplanes, or cables) that can offer customers a continuous source of supply or availability advantage during the construction of an entire hardware subsystem or system. 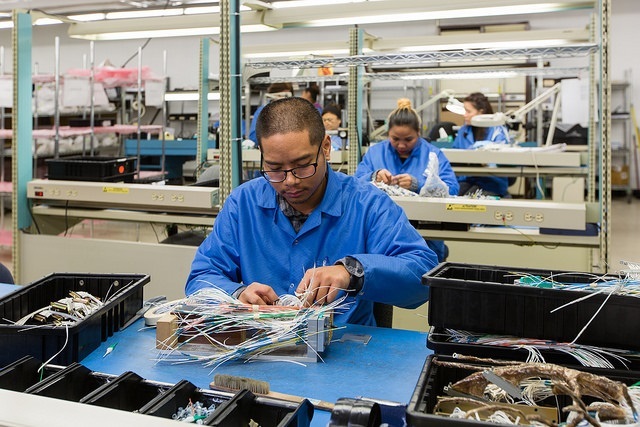 Each enabling assembly service represents a value added benefit when that assembly operation is completed and integrated into a customers final system. Each assembly service offered allows dataCon to provide value pricing and better schedule/delivery adherence for critical system components. Customers leverage dataCon’s value pricing and assembly services flexibility to get their product to the marketplace quicker and more cost effectively. engineering processes that link the expertise and know how of manufacturing engineers with the needs of design engineering personnel. Reviews are conducted at key points during the design process using a predefined checklist that leverages the experience of materials and manufacturing operations personnel. 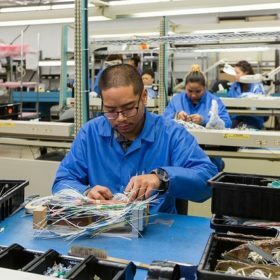 OEM reviews are multilevel and typically include form, fit and function reviews at the system level and more detailed, component line item reviews for mechanical piece parts, circuit card assemblies (CCA’s) and cables. 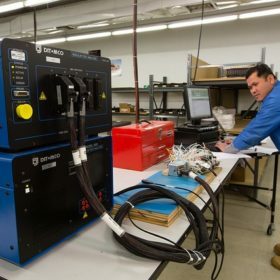 At the CCA level, reviews are conducted prior to schematic capture, during placement, after routing and prior to material ordering or parts fabrication. At all levels issues related to assembly, service, quality and process are documented and fed back to improve overall product producibility. Unresolved issues are sometimes carried forward and monitored during the proto-build cycle to help quantify the cost impact prior to volume manufacturing release. Once the design requirements are “firmed up” dataCon’s engineers can formulate or tailor a manufacturing process to ensure the best possible yield and quality. Design for Quality (DFQ) reviews are inherent to dataCon’s DFM and NPI processes. Prior to manufacturing release, proposed Authorized Vendor Lists (AVL) are reviewed and periodically monitored for quality and on time delivery performance. 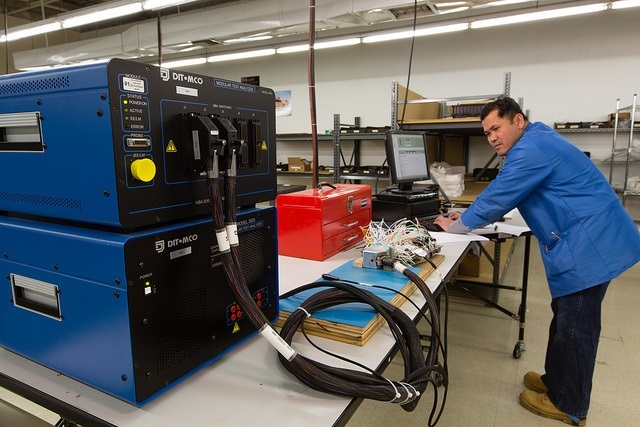 For mission critical military programs or medical customers requiring an enhanced quality systems approach, Manufacturing Info Web provides real time data collection and work in process (WIP) monitoring by serial number. Collected failure data can be uploaded for timely process failure mode effects analysis (PFMEA). After manufacturing release, supplier quality issues surfacing during a program or product life cycle are resolved and continuously improved through periodic reviews with customers and suppliers. The client’s Product Lifecycle Management (PLM) environment is constantly updated as a result of this activity.